It is possible to keep your sod green and lush year-round. To ensure you are fertilizing your landscape correctly, follow the advice listed below. Doing so will mean healthy, long-lasting sod that highlights your home or commercial property. More is not always better. Spreading fertilizer liberally over an area might be a great idea, but before you go overboard, make sure you know what you are doing. Over-fertilizing yields problems just as under-fertilizing does. 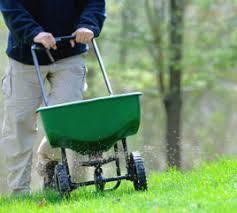 Maintain the delicate balance by only fertilizing when it is necessary, which is usually in the spring and the fall. Remember that sod requires fertilizer for different reasons, depending on the time of year. In the spring, fertilizer should break down slowly to steadily encourage growth. 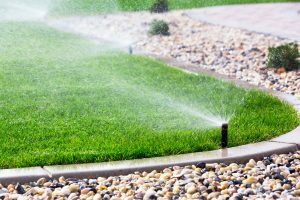 In the fall, the fertilizer is meant for growing roots and should be spread To ensure that your grass continues to thrive, follow the irrigation system tips outlined below. Have a professional plan your irrigation layout. Your yard or commercial property likely features more than just grass. It is important that the shrubbery and flowers receive the correct amount of moisture as well – and that means correctly placed sprinkler heads. Install too many or too few, and you will see problems arise. Overwatering, though seemingly proactive, can be one of the worst things you can do for a lawn. Under-watering is an understandable concern during the scorching Florida summer. 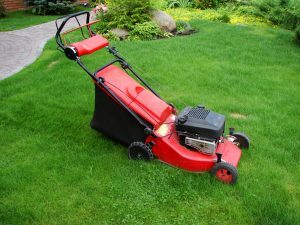 Following the correct mowing method can do wonders for the growth and health of your grass. Here is how to go about it the right way. Cutting grass too short is not wise. By doing so, you may end up with some dead spots as your blade hits the ground. Resist the urge to save yourself a few more days of growth. Use an edger in narrow areas. This will give you a professional look. Keep the mower blades sharp. When dulled, they tear at grass unevenly. Among all the concerns homeowners face, weed issues are by far the most prevalent. Some people wait until weeds virtually take over their sod, which leaves them no choice but to tear up the existing grass and start anew. 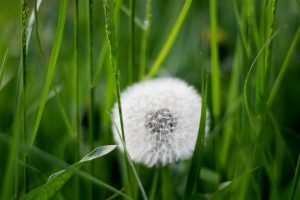 Read below as we discuss the common weed issues one faces with sod, and learn what you can do to keep your sod free of these pesky intruders. Weeds can actually be a bit picky when it comes to which type of grass they will overtake. However, the most common weeds (Dollar weed, crabgrass, and torpedo grass) have one thing in common: they need less care than your turf to grow. Therefore, do not assume that just because you water your lawn, you are keeping weeds at bay. Avoid weeds by keeping your grass healthy. Water and fertilize it correctly. Recognize problems when they begin, and act quickly. When grass becomes ill and weak, parasitic weeds thrive. One of the biggest concerns that cause lawn damage here in Central Florida is Insects and Fungus. These can be more problematic when the temperatures are above 80 degrees. ♦ The most common two pests are the southern chinch bug and the sod web worm. ♦ The most common two fungus problems are brown patch and gray leaf spot. ♦ Identify if it is bugs, fungus or both. This is crucial and you need to treat the lawn quickly. ♦ In some incidences 24-48 hours could mean the difference between the recovery of the lawn or its loss. The most common two pests are the southern chinch bug and the sod web worm. The most common two fungus problems are brown patch and gray leaf spot. Identify if it is bugs, fungus or both. This is crucial and you need to treat the lawn quickly. In some incidences 24-48 hours could mean the difference between the recovery of the lawn or its loss.